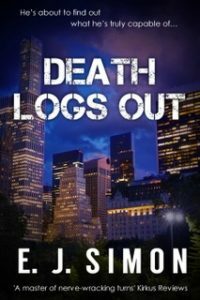 My third novel, Death Logs Out, is completed – not finished. Now it goes off to an editor. Historically, when an editor has completed their work on my books, I will take their comments, get angry, reject all critical notes and how to correct them, state out loud that they were the wrong person to edit my type of story . . . I’ll put the whole thing out of mind for several days. Then, at night, while turning over in bed, I will see the first glimpses of – perhaps that one of the points was spot on, then maybe another one or two. That will percolate for a day or so. Then, another night, a few more points will seem reasonable. Somewhere around two weeks later, I will believe that my editor is incredible and walks on water. This is a cycle that continues as, typically, my books go through three rounds of editing! Here we go again.